The next step is to sync the Envato Market plugin with your Envato account to have access to all of your marketplace purchases as well as item updates. To get started click on the Envato Market link in your dashboard menu. You should see a screen similar to the one above. 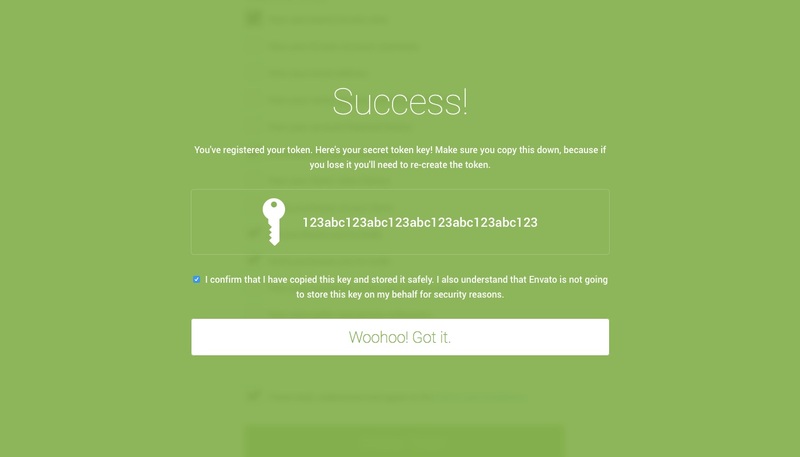 The very first step is to create an Envato API token. To do this, click on the generate a personal token link (highlighted in red above). If you’re already logged into your Envato account you’ll be taken to the screen above (otherwise you will be prompted to log in first before being redirected to this page). On this screen, you can see what the Envato Market plugin is requesting permission to access via your Envato account (Envato sites, the ability to download your items, a list of your purchases and verification of your purchases). 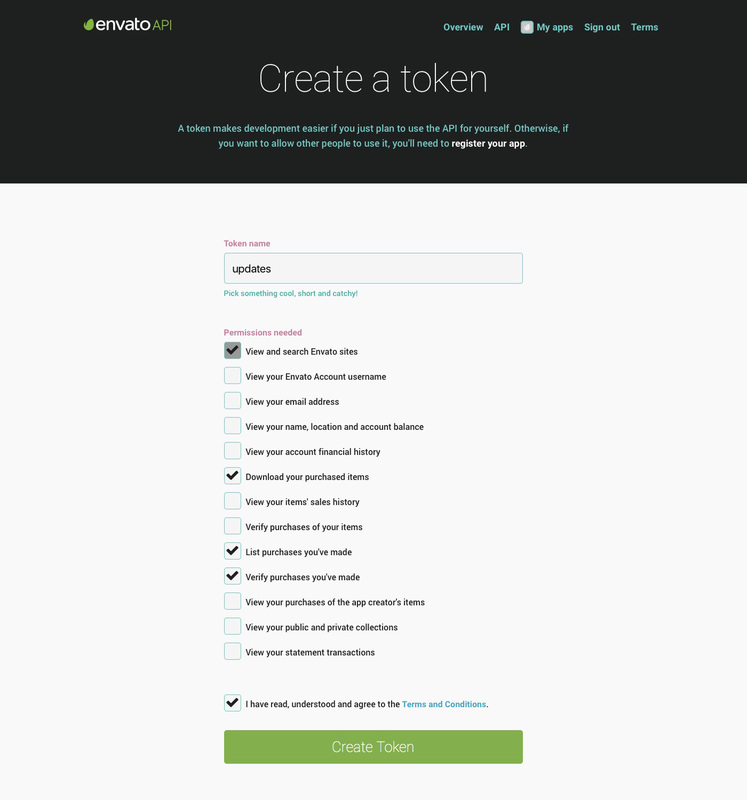 To proceed to give your token a name, check the box that you have read and agree to the terms and then click the green button to create your token. Once your token is created you will see a green success screen. Copy your token code (this is very important since Envato doesn’t store a copy of the token for you), check to confirm that you’ve copied it and click the white button that you got it. 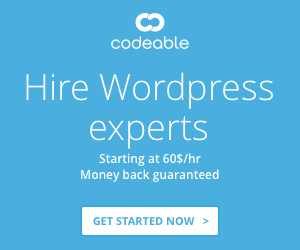 Now go back to your WordPress installation and paste in your Envato API token then click save. Once your token is saved and validated your page will refresh to show your Envato Market landing page with added tabs for your items. The added tab(s) display all of your theme and plugin purchases as well as their version numbers and quick links to the theme and author pages. Now that you have the Envato Market plugin installed and synced to your account you will have all of your purchases and item updates at your fingertips.